BOTAŞ TANK DEFORMATION - Solvotek Mühendislik ve Bilişim Hizmetleri Tic. Ltd. Şti. 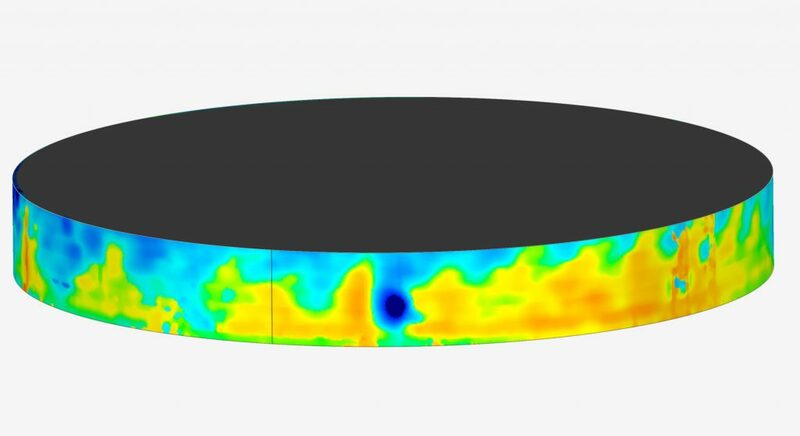 BOTAŞ TANK DEFORMATION - Solvotek Mühendislik ve Bilişim Hizmetleri Tic. Ltd. Şti. During a maintenance on one of the empty crude oil storage tanks, oil waste caught fire and damaged the tank in Botaş. To do the aftermath of the incident Solvotek was requested to do the 3d laser scanning and deformation analysis, the roundness and the verticality analysis of the tank.